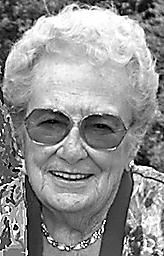 Mary Bernice Bucher, 94, of Hudson, FL died on Sunday Dec 14, 2014 in her own home. Born in Lancaster, PA in 1920, she graduated from Lancaster Catholic High School. She received her Registered Nursing diploma (RN) from St Joseph Catholic Hospital’s Nursing School (Lancaster, PA), her Bachelor of Science in Nursing from Boston College (Boston, MA), and her Master of Science in Psychiatric Nursing from the University of Pennsylvania (Philadelphia, PA). Bernice served honorably in the US Navy for 20 years during 3 wars: WWII, the Korean & Vietnam Wars. Among other naval stations, she was a Neuropsych Nursing Director at Bethesda Naval Hospital (now Walter Reed Medical Center), where she directed all the nursing duties of Psychiatric Therapy of the hospital. With doctors in short supply, Bernice led this new psychiatric nursing program as the military first attempted to grapple with the thousands of cases of “shell shock” (now called PTSD) after WWII and during the Korean War. 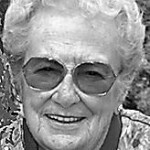 After retiring from the Navy, she was a Nursing Director at Pennsylvania Hospital in Philadelphia, PA, where she was responsible for 500 nurses. After nearly 3 years in Philadelphia, she moved back to her home town of Lancaster, PA to take care of her aging mother, Carmelita Reilly Bucher. There she became the Nursing Director at St Joseph’s Catholic Hospital and then later at Lancaster General Hospital. She ended her professional career as a surveyor for The Joint Commission traveling with her various pet dogs around the US auditing hospitals and nursing homes. After retiring at 72, she pursued her favorite sport of golf with her many friends at Meadow Oaks Golf Club in Hudson, FL. Bernice is survived by a sister Carmel Joyce of Greensboro, NC, many nieces & nephews, their children and her faithful caregiver Lynn Pitney of Hudson. Bernice is preceded in death by three brothers: Henry, Wallace and Richard. Henry was a Deacon at St Michael’s Catholic Church in Hudson, FL and St. Leo’s Abby nearby. A military burial honoring Bernice’s life will be held on March 4th at the National Military Cemetery in Bushnell, FL. Our thoughts and prayers are with Bernice’s family and friends.